Pediatric Growth (wet) Kittens from 4 months to neutering. 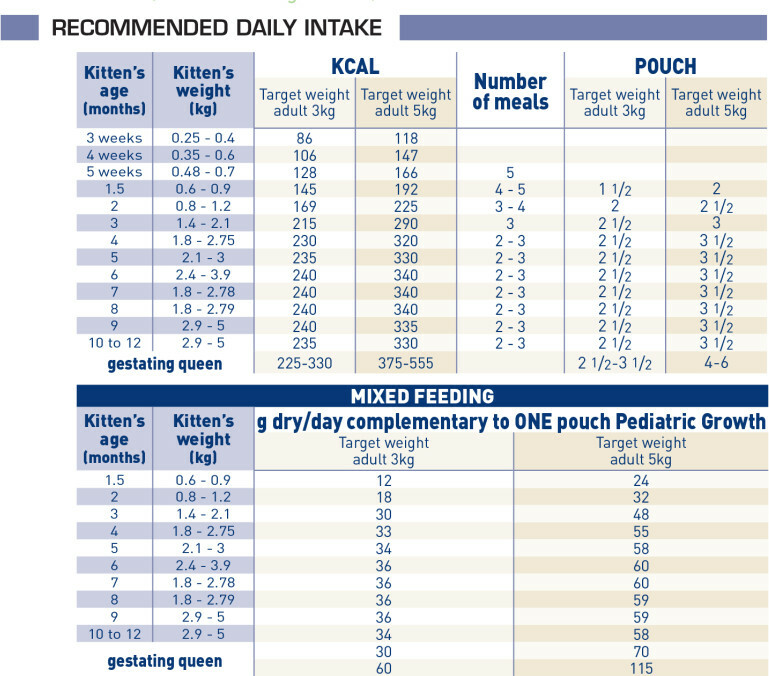 Entire kittens from 4 to 12 months (Body Condition Score monitoring advised). 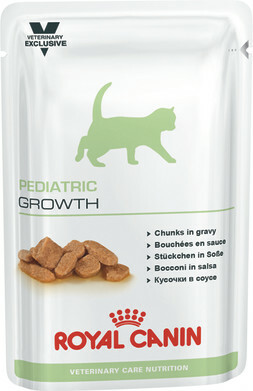 In the case of early neutering, feeding Pediatric Growth is advised until 6 months (BCS monitoring advised). Combination of highly digestible proteins and prebiotics to help support digestive growth. 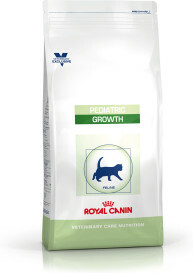 Combined prebiotics and a synergistic antioxidant complex including vitamin E, vitamin C, taurine and lutein; to support natural defences of the growing kitten. Chicken and pork meats, rice flour, wheat gluten, cellulose, calcium caseinate, fish oil, minerals (including chelated minerals), yeast extract (source of Mannan-Oligo-Saccharides), taurine, L-carnitine, marigold meal (source of lutein), vitamins. Crude ash: 1.5%. Crude fibre: 0.6%. Crude oil fats: 4%. Moisture: 79%. Protein: 12%. Vitamin D3: 250IU, E1 (Iron): 1.4mg, E5 (Manganese): 0.44mg, E6 (Zinc): 4.4mg.